Mercedes-Benz of Buffalo is hiring! If you’d like to join our team and are qualified for one of the following immediate openings, please fill out the form below and include your resume. If you have any questions, please contact us at careers@mercedesbenzbuffalo.com. Calling all drivers! 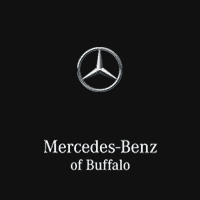 Mercedes-Benz of Buffalo has immediate full-time and part-time openings for Valets and Shuttle Drivers. Requirements: Clean drivers license and the ability to work in a fast paced environment. EOE. If you’re an interested candidate and would like to join Buffalo’s family owned and operated premier luxury car dealership, please email resume or description of work experience to Brian Stracick at bstracick@mercedesbenzbuffalo.com, or stop by the dealership to fill out an application. Do you enjoy meeting new people? Mercedes-Benz of Buffalo is hiring a part-time showroom greeter! We are looking for someone who has availability to work some evening evenings from 5pm to 9pm and Saturday 9am to 5pm. Duties would include greeting showroom clients, answering incoming calls and cashing out service clients in the evening. If you’re an interested candidate, please email resume or description of work experience to Brian Stracick at bstracick@mercedesbenzbuffalo.com, or stop by the dealership to fill out an application. We’re hiring full-time and part-time lot attendants. Come be a part of Buffalo’s family owned and operated premier luxury car dealership. Email resume or description of work experience to Brian Stracick at bstracick@mercedesbenzbuffalo.com or stop by the dealership to fill out an application. Buffalo’s leading Mercedes-Benz dealership has an immediate opening for experienced technicians. Sign on bonus and relocation packages available. State of the art tools and equipment, climate control shop, and provided work stations. Paid training. Paid vacations. Top pay and benefits. Come be a part of Buffalo’s family owned and operated premier luxury car dealership. Email resume or description of work experience to Brian Stracick at bstracick@mercedesbenzbuffalo.com or stop by the dealership to fill out an application. EOE.